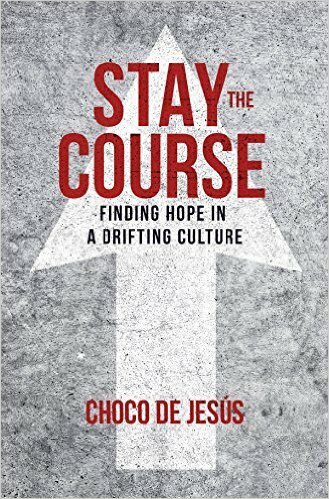 Choco De Jesus, Stay the Course: Finding Hope in a Drifting Culture (Friendswood, TX: Baxter Press, 2016). As we hold fast to God and his purposes, we won’t quietly accommodate the destructive currents of our culture, we won’t react in anger to oppose people who disagree with us, and we won’t withdraw out of hopelessness and despair. Instead, we’ll trust in the matchless love, wisdom, and strength of God to engage the people and causes around us, and we’ll shine in the darkness. Pastor Choco has a unique platform to speak this message. He is pastor of New Life Covenant Church, a multicampus megachurch in downtown Chicago. In addition to straightforward Pentecostal worship and preaching, the church is characterized by an active social ministry to the poor, addicts, prostitutes, and gang members. 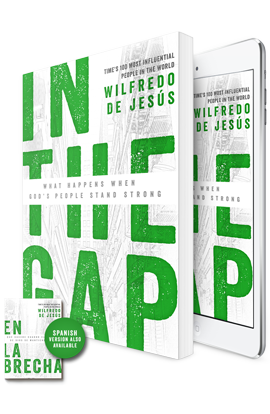 As a Hispanic evangelico, he is part of a movement whose numbers and influence are waxing, not waning. At various times, he has been proposed as a candidate for political office in the city of Chicago and the state of Illinois. No wonder TIME magazine proclaimed him one of the world’s 100 most influential people in 2013! Make no mistake: the world is changing, and the culture is drifting away from the values we’ve held dear for generations. We live in a challenging age, but no more challenging than the first century when Rome ruled the world and Christians were often in a persecuted minority. They trusted God for wisdom and courage to face economic loss and government opposition, and the church prospered because of their faith. Difficulties and threats are dividing lines in the lives of believers: we either go deeper into the reality of our King’s love and purpose, we give up on him, or we blindly fight back against the tide that threatens us. God has called us to respond with truth and grace, not one or the other. Recently, I had the privilege of interviewing Pastor Choco for a forthcoming episode of the Influence Podcast and then driving him to the airport to catch his flight back to Chicago. If I could, I’d get every anxious pastor I know into a car with him for 30 minutes just to soak up his gospel-saturated optimism. Since I can’t do that, I’ll simply recommend reading this book. P.P.S. If you found the review helpful, please vote “Yes” on my Amazon.com review page. Pastor Choco: Are You a Cheese-Sandwich Carrier or a Giant Slayer? Great sermon from Pastor Wilfredo “Choco” de Jesus at Monday night’s Influence Conference, just prior to the 55th General Council. He preached about David and asked, memorably, whether God called you to be a cheese-sandwich carrier or a giant slayer. Author georgepwoodPosted on August 13, 2013 August 10, 2013 Categories UncategorizedTags cheese sandwich carrier or giant slayer, General Council, Influence Conference, Pastor Choco, Wilfredo de JesusLeave a comment on Pastor Choco: Are You a Cheese-Sandwich Carrier or a Giant Slayer?